Between 1933 and 1945, more than 500,000 German citizens resisted the Nazi government. Many were imprisoned for political crimes which included both active attempts to remove Hitler from office and passive attempts to oppose the Nazi regime. Resistance was found among university students, churches and even the German military. 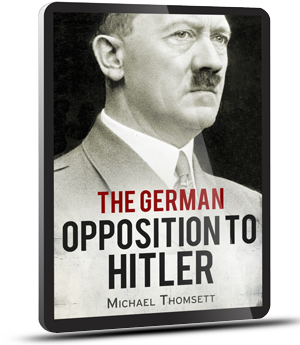 This fascinating and compelling history of the German resistance covers groups and methods from underground newspapers such as “Rote Kapella” and “Internal Front” to conspiracy movements within the army that culminated with Operation Valkyrie, a planned coup d’état and assassination attempt which went terribly wrong.